There's another animation that's similar to the hissing. Are you sure it's not that ? There's also another issue where weaknesses are still present if they have been removed. Did you ever have the weakness on the Sim ? Um, after my sim did the animation, people around him are getting the "No sign". I think I picked the weakness once, but removed it with the cheats. Is there any solution I can fix this? merged your post with existing thread then. Don't know of any solutions to this problem. I have the base game, vampire pack and Get together. No mods, no custom content. Everything I did was in-game, no cheats, and I'm only mentioning the weaknesses/powers that have stayed. I play in a different language so I don't know the names for these but hopefully I describe them well enough. Turned a sim into a vampire. Gave her eternal sadness and hissing as weaknesses. I got tired of her constant hissing ruining her social life, so made her the drink to reassembly vampire points to powers. I gave her suppressed emotions as a power and weakness for eating food, I didn't give her the sadness or hissing. Every time she would do the normal hissing animations as a part of being a vampire, it would now lower relationships like the hissing weakness. She would still get randomly the moodlet for eternal sadness, but she also had the new weaknesses, including rarely feeling anything. Also for some reason she would do the animation of being unable to control herself, like when a vampire is thirsty except she wasn't. I don't know it this was because the game thought she was "a new" vampire and I just didn't notice them doing that or what, she was fully leveled. So I decided to just cure her vampirism to get rid of all of this. Of course that didn't happen, and now she gets disgusted when eating and still always has the annoying "I don't feel anything" moodlet. And yes it is fixed by travelling somewhere and going back, but I rotate multiple households so it's constantly reappearing. I think I've even see it reappear when putting the former vampire to sleep and waking her up. Cleared cache, fixed the game through origin, saved the sim to library and then removed the original and put the saved version into the game. Nothing. Also went to a former save where she was a vampire and cured her of vampirism, and the problem appeared again. Seriously, I can't even believe that this exists, that two drinks that are supposed to remove things don't do that. Who playtested this? 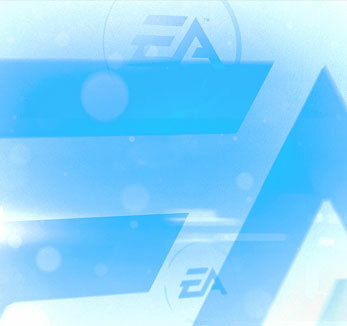 No-one probably, this is EA after all. Sigh. Hello, I'm having the same problem with you. (Vampire Hising) Its very annoying when Sims are gathering. But every game have bug or issues, and i think we are the one that testing(playing) the game so right now we just have to wait for EA to fix this. I already email the bug report to customer service, please send them one too if you may so that they can know about this and fix this as soon as possible. Hopefully in the next update. - Cured vampire can't eat normal food because of previously selected 'withered stomach' weakness seems stuck. Also tried clearing the cache, repairing the game through origin, saved the sim household to library and brought it back into game again, none of this seems to work. got the sloppy drinker weakness but it got really annoying really quickly and i decided to use the vampire stat reset potion but i still have the weakness. it takes 15 bloodpacks and 15 plasma fruit to fully fill up the bar from empty while it only takes 5 of each for my other sim. I still have dampened emotion buff and eternal sadness after curing vampirism. While I was a vampire the reconfiguration potion did not help to change this either and I had the same problem as OP where my vampire would have the sloppy drinker weakness even after using reconfiguration potion. RIGHT NOW MY SIMS ALSO HAS THE GETTING SICK WHEN EATING FOOD WEAKNESS SO HE CAN'T EAT ANYMORE! These bugs are game breaking... hope they get fixed soon! I am getting this issue too. I gave my vampire sloppy drinker, then used the reconfiguration drink. Sloppy drinker is still applied to my vampire. I also tried curing the vampire with the ultimate vampire cure and turning her again, but sloppy drinker was still in effect when she became a vampire again. Currently having this problem with the uncontrollable hissing. Removed it with the draught of reconfiguration but they’re still doing it. It’s especially annoying since that weakness hurts friendship dramatically whenever theres sims around the vampire.